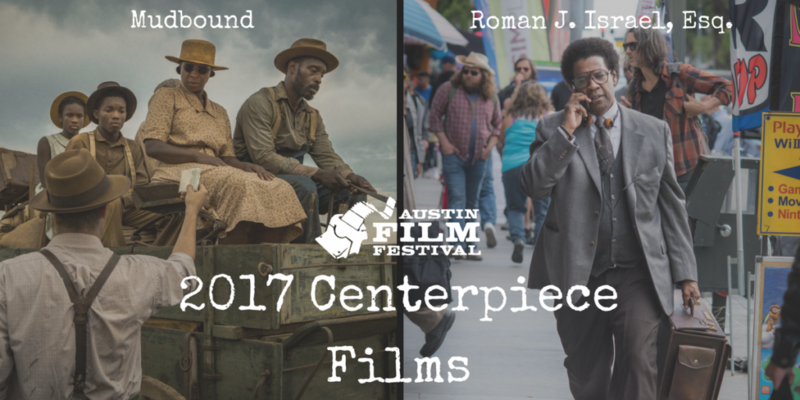 Austin, TX – October 23, 2017 – Austin Film Festival (AFF), the premier film festival recognizing writers’ and filmmakers’ contributions to film, television, and new media, announced today two late additions to its film slate. Dan Gilroy’s dramatic thriller Roman J. Israel, Esq. and Dee Rees’ epic period piece Mudbound will serve as AFF’s Centerpiece selections this Sunday, October 29th. AFF officially begins this Thursday, October 26.